We live in a dangerous world, there’s no doubt about it. Knowing how to avoid dangerous situations is paramount to staying safe as you go about your business. But even the most savvy among us may experience serious harm due to the force of nature, or the negligence or malice of others. In such a situation, a local personal injury attorney can help you in your quest for justice. Stampedes: Concerts, athletic events, protests, and all sorts of events may be susceptible to stampedes. If you find yourself in one, do whatever you can to remain standing. If you do wind up falling, protect your face and head by staying in a fetal position until you have the opportunity to get back to your feet. Dog attacks: Fight back by kicking at the nose. Stay on your feet or your chances of getting serious wounds rises. Tire blowouts: Ease to the shoulder of the roadway with both hands planted firmly on the wheel. Avoid jerking the wheel. Building fires: Remain close to the floor to avoid the smoke and gases. If visibility is limited, follow along a wall until you discover a way out. If you think you may lose consciousness, lie by the wall to make yourself easier to find by rescuers. Shootings: If you are running from someone with a gun, choose a zigzag pattern. If you are stuck indoors, barricade yourself with a locked door and furniture. If the gunman makes his way into the area in which you’re hiding, play dead. If nothing else works, fight back if you have the chance. On that note, don’t walk around while you’re texting or talking on the phone. Pay attention to your surroundings. When heading to your car in a parking lot, keep your wits about you and have your keys ready in your hand. 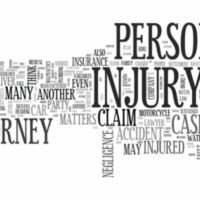 If you experience severe injuries as a result of the negligence or malevolence of another person, you may be entitled to legal recourse. Explore your options with our experienced legal team at the Law Offices of Robert W. Elton. The initial consultation is free and confidential.